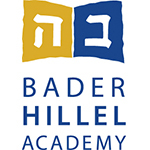 Bader Hillel Academy is located on the Max and Anita Karl Jewish Community Campus, owned and operated by the Milwaukee Jewish Federation. Please contact us to set up an appointment or tour. All visits must be scheduled through the Bader Hillel Academy office.